A Force for Change: Montpelier Student Advocates for Social and Environmental Justice | One to Watch | Kids VT - small people, big ideas! At 16, Hope Petraro isn't old enough to vote. But she's still registering others. The Montpelier High School junior is an intern in Sen. Bernie Sanders' office, working on voter outreach ahead of Election Day. "It's funny, because there are sometimes questions I don't know the answers to, because I haven't gone through the process myself," she admitted, "so I've had to educate myself." Hope often talks about educating herself, a notably humble mindset for someone who spends a lot of time teaching others as she works to persuade them to support a variety of causes. Her accomplishments are many. As a sophomore, Hope founded the Race Against Racism, an annual 5K race and rally in Montpelier, which took place for the second time in September. She is vice president of Montpelier High School's student activism association, Club Action. She's involved with her school's Racial Justice Alliance and Earth Group. She helped plan both the annual student climate justice event, Rally for the Planet, organized by student-led advocacy group Vermont Youth Lobby, and the Livelihood Music Festival to support the Vermont Ibutwa Initiative, an organization that supports Congolese women harmed by sexual violence. She spoke at a Montpelier school board meeting earlier this year to encourage board members to make Montpelier the first Vermont high school to fly a Black Lives Matter flag. The board agreed, inspiring students in other districts to advocate for the same. Hope now serves as a student representative on the school board. In January, she plans to return to the Statehouse for a second year interning with Rep. Mollie Burke of Brattleboro. "She has a passion for these things, and an unusual level of follow through, given her age. She's a force," said Hope's principal, Michael McRaith. He and social studies teacher Heather McLane are two faculty members Hope credits with creating a culture at her high school that supports students in civic engagement, one in which adults "are more willing to listen to kids," Hope said. Hope was launched into action by circumstance. At age 12, she and her mother, Tricia Petraro, moved from Brooklyn to Montpelier. It was a cultural shift at an important life stage. Moving from a city to a close-knit community helped her recognize the advantages of her new environment — and the limitations, specifically Vermont's relative lack of racial and ethnic diversity. 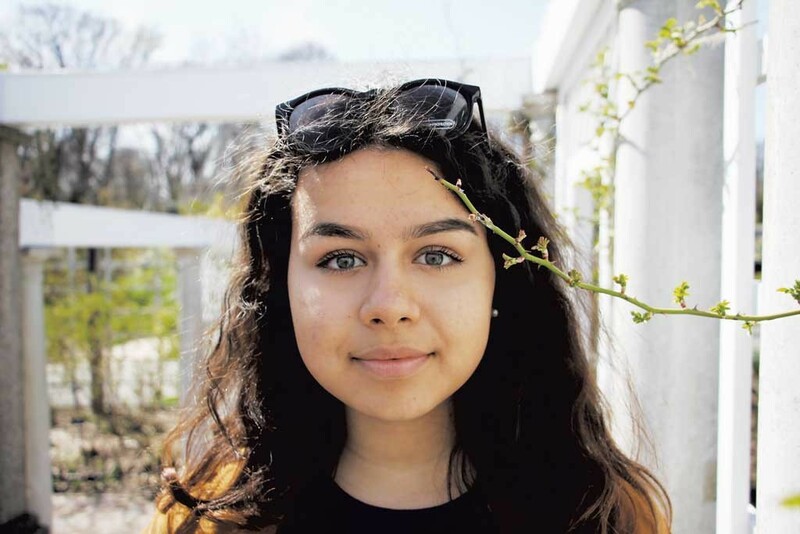 Because she had firsthand experience with living in a diverse community, she was unique among her peers in her ability to advocate for the importance of diversity. She followed the advice of an older friend and sought out clubs and volunteer experiences to meet people. "I had to find a support system outside my immediate environment. That's how I became educated about youth activism and politics. It was partly a way for me to cope with moving to Vermont, but it was also something I just became passionate about," she said. Through events like the Race Against Racism and Rally for the Planet, Hope and her fellow student organizers in Montpelier and other Vermont schools are making student activism — and its results — visible. Tricia Petraro calls living with her daughter "an amazing journey," and relishes watching Hope blaze her own trail. When Hope was a baby, Tricia papered her room with posters. "I had Martin Luther King Jr. and Mother Teresa, and I also had the periodic table and human anatomy. I just said to her, 'You choose,'" Tricia said. Indeed, Hope's interests have remained varied. This past summer, she had an internship at the University of Vermont — not in organizing, but in science. After she graduates from high school in 2020, Hope plans to attend college. She'll probably study social sciences, like anthropology, economics or political science, she said. She's considering running for political office at some point. Most importantly, she said, her work will "always include some sort of social mission and the ability to make change and give back." Her activism is part of who she is. "It's pushing for a greater society."